This brochure explores the options for confronting racist hate speech. How do I report racist posts? How can I file a criminal complaint? What do I have to bear in mind here? And what do I have to do when I find myself in the line of fire? 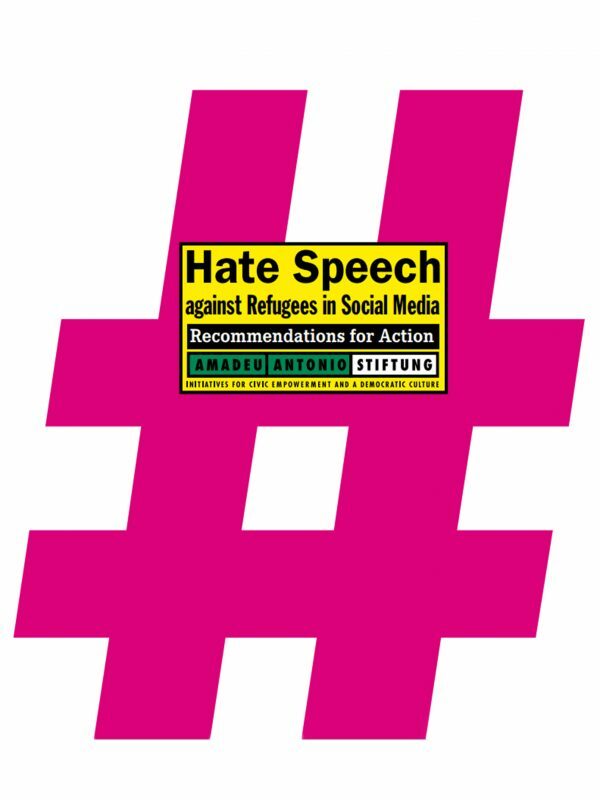 The brochure is aimed at anyone interested and at the many committed refugee helpers, who want to confront racist hate speech online, who need to get to grips with the paramount question: what can we do? There are in fact many different options for opposing hatred: delete it, block it, ignore it, discuss it, refute it, complain to the authorities. The brochure accordingly provides an overview of how racist hate speech can be recognized, reported and referred to the public prosecutors. It also covers self-protection and the publication of racist hate speech. The brochure has been created by the debate/dehate team of the Amadeu Antonio Foundation. The project is sincerely grateful to the Freudenberg Foundation for the financing provided.